On The Stand Out NOW! Podcast, we cover a lot of marketing, publicity and sales tips. But, are you looking for a new, targeted and affordable way to attract your ideal clients? If you are, welcome to the world of Podcast Guest Marketing. 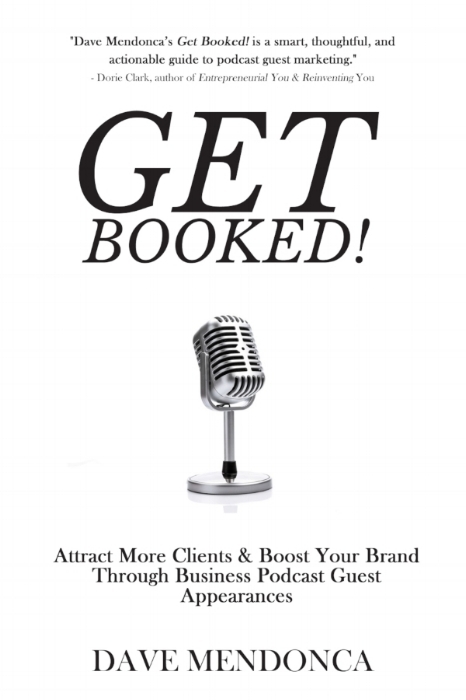 In Get Booked!, you'll discover why being a guest on interview-based business podcasts, that cater to your niche, can be more powerful than advertising on television, radio, print or online. Get ahead of your competition by using the power of Podcast Guest Marketing. Get Booked! will provide you all the tools to make it happen. As well, here are some FREE RESOURCES to help you out! If you want to discover if you're ready to monetize your podcast interviews, fill out the form below to access our 16-page Your Profitable Podcast Guest Assessment and 4 Ways To Promote Your Business Podcast Guest Appearance PDF.